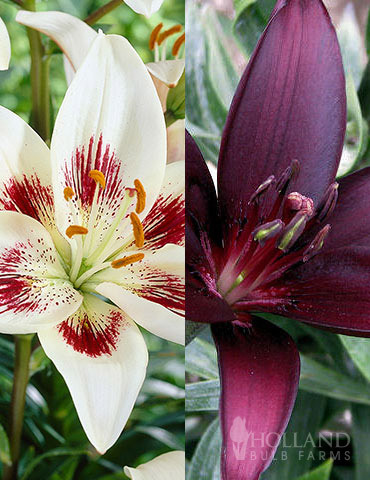 Create a dramatic effect in your garden by combining these shades of white and dark purple with Asiatic Lilies. Blooming mid-summer these will also look great planted with other perennials such as sedum, white coneflowers, and daylilies. These r just now coming up but all the other bulbs have many blooms on them. Beautiful attract hummingbirds also. Great buy check these out.